A high ceiling and sprawling walls provide the sheer vastness required by blown-up images of mounted paintings, such as those in Zean Cabangis’s body of work. 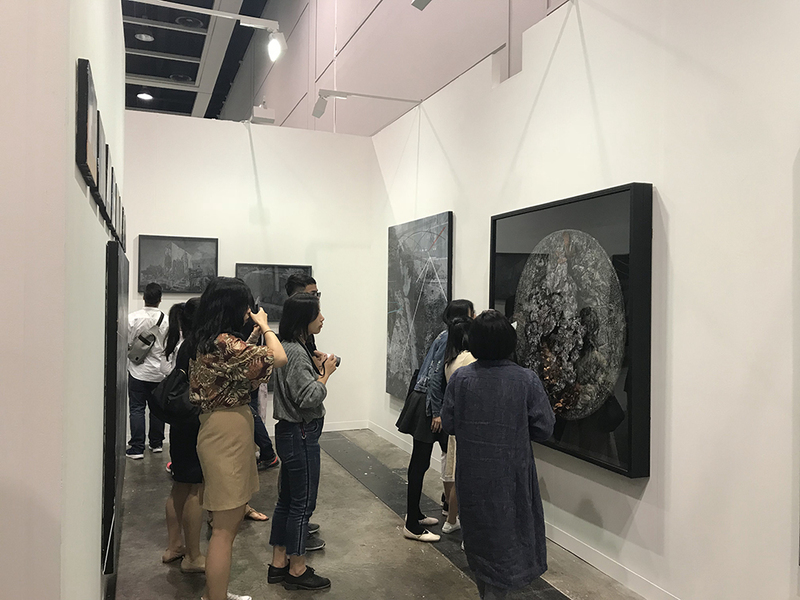 This year’s edition of the world renowned Art Basel in Hong Kong provides the grandest of spaces for about 248 premier galleries from 32 countries and territories. 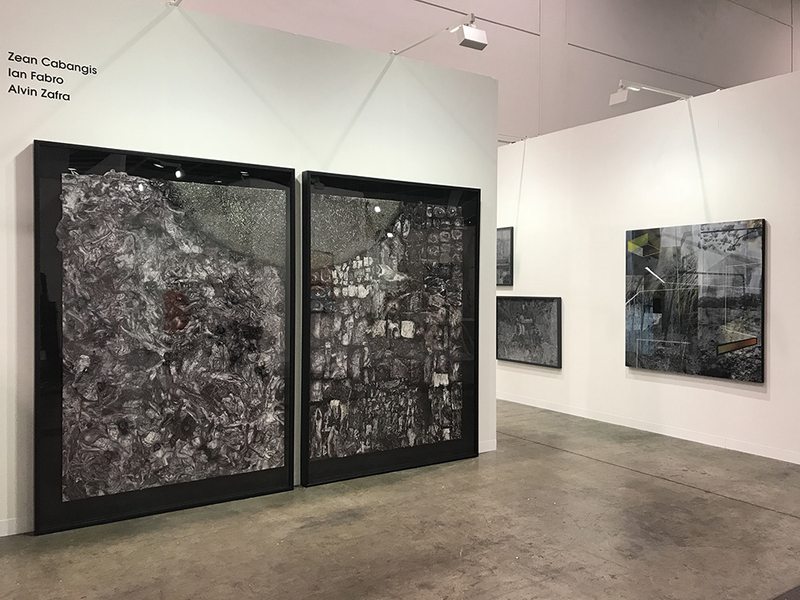 According to a statement of Art Basel Hong Kong, it features “both historical material and cutting-edge works by established and emerging artists”, including Cabangis who is among other selected local artists representing the Philippines. Hong Kong’s Convention and Exhibition Center displays the creativity behind utilizing such space, which is transformed into a captivatingly large tableau where Cabangis’ work becomes a reverie of impressions, of intersecting images, objects and texts. “It is a series of paintings depicting places and landscapes that actually show no actual place or, as I call it, no place,” he explains. He is known for using acrylic and emulsion transfer as his medium. 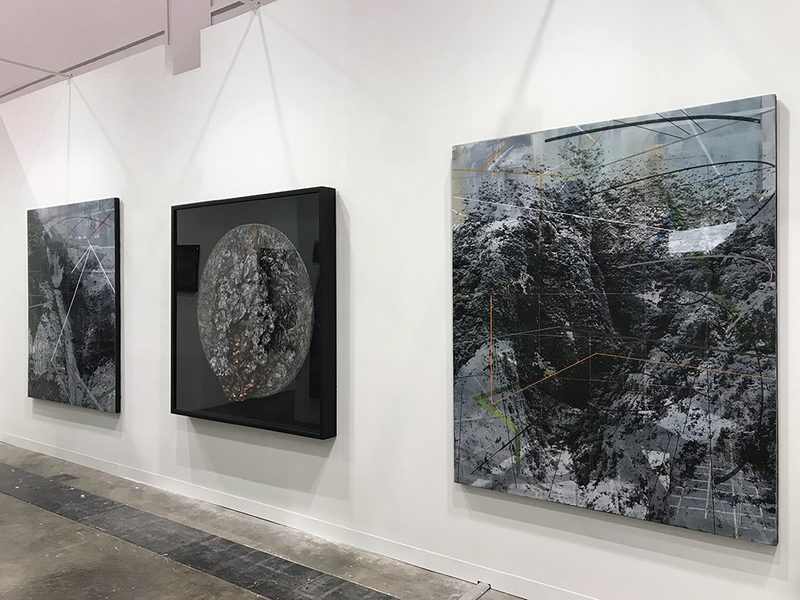 This is a recurring process that allows him to create multiple photographic images and a sensation of accumulated layers, a style that is Cabangis’s signature, but this time, collage is incorporated to add visual depth, for all Art Basel goers to see. Cabangis is as a trained painter whose narrative constitutes a sea of images and objects straight out of film scenes, mainstream media, architecture, nature and mostly from his bike rides. “There’s a lot from which I get the images. I just keep an open mind when I do things, especially the mundane ones, because most of the time that’s when a stream of ideas come in,” he explains. “Aside from my father who is also a practicing artist, I made making art as my lifework because I’m too lazy to commute or go out of the house,” he frankly says. “I was able to make it to art school both at the University of Santo Tomas and UP College of Fine Arts. I chose UP because I am really not comfortable commuting. After graduation, I was hired by a company in Makati. I went to work on my first day and that was it!” he adds. 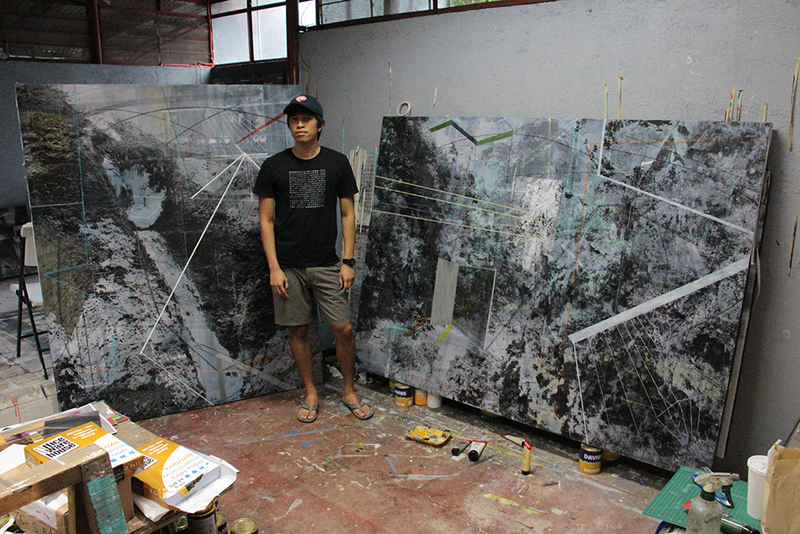 Zean Cabangis is a recipient of multiple prizes including Most Outstanding Thesis of 2006 (College of Fine Arts, University of the Philippines); Gawad Chanselor Award for Academic Achievement (Shell Student’s Art Competition, Manila, 2004); Faber Castell Painting Competition (Finalist, 2008); Artist-in-Residence at the Southeast Asia Group Exchange Program, Tenggara, Yogyakarta, Indonesia (2011); Ateneo Art Awards (Shortlisted, 2013-2014 and 2017); and 13 Artists Awards of the Cultural Center of the Philippines (Awardee, 2016). 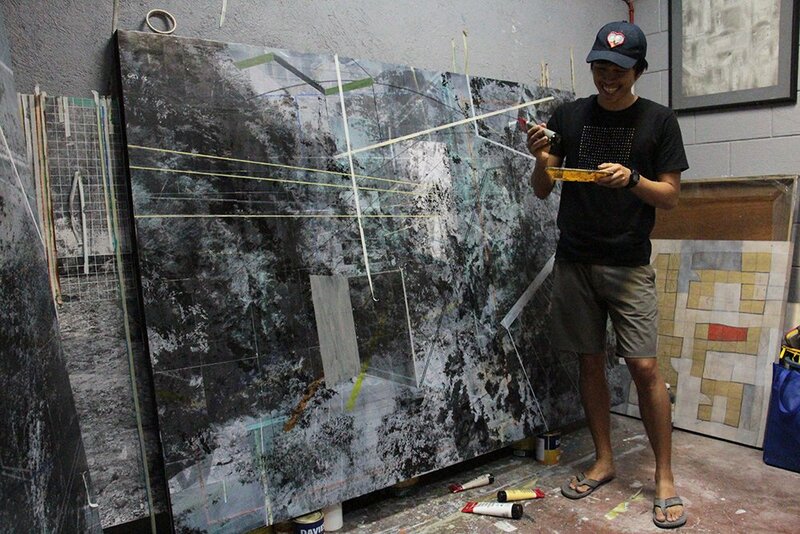 Cabangis was an Isko all the way from UP Integrated School until he earned his Bachelor of Fine Arts in Painting at the College of Fine Arts, University of the Philippines Diliman in 2007. He is active in both group and solo exhibitions here and abroad. Otherwise, he is somewhere out there biking.